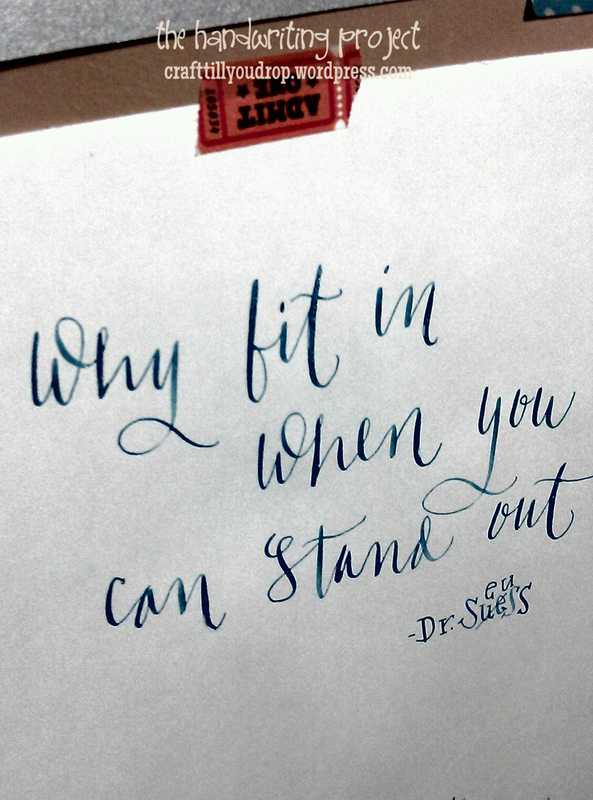 i love Dr Seuss and i have one of the many reasons why, written here in freestyle calligraphy. Dr Seuss is such a timeless literature and its appeal spans across age groups. this quote is such an inspiration to all those who have grown to conform. the need to belong has sadly made us copycats of what’s popular and we lose the sight of keeping our individuality. let’s lose the need to be like the rest. let’s not lose ourselves in a sea of commons.